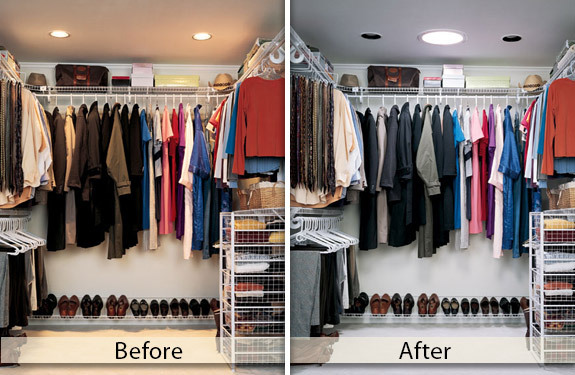 Always wanted more light in your life? Check out our before and after photo’s - the difference is amazing and our customers can’t stop talking about it. Have you considered a Sun Tunnel in a bathroom with no windows, or a dark walk-in closet? The transformation is remarkable. We are Certified Velux Skylight and Sun Tunnel Installers for residential and commercial applications. 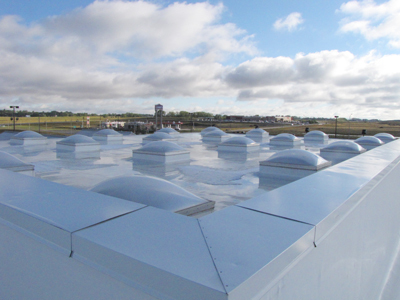 Call TDC Roofing today, we’d love to enlighten your day! 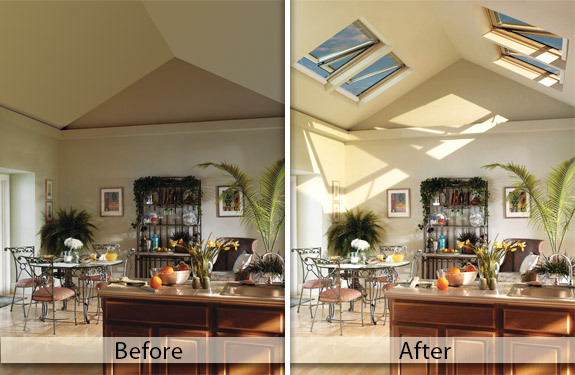 Skylight windows are a great option to add warmth and value to your home. They allow you to infuse natural sunlight in darker areas of your home, saving energy. TDC Roofing’s crew are VELUX certified top referred elite installers. One of the green benefits of sun tunnels is that you’re saving electricity, which translates into energy and cost savings over the course of a year. 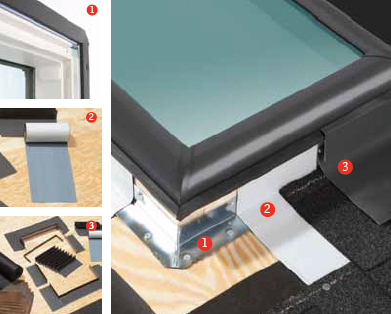 Designed for deck and curb installations, the VELUX Manual Venting skylight enables any home to embrace the best of what nature has to offer. 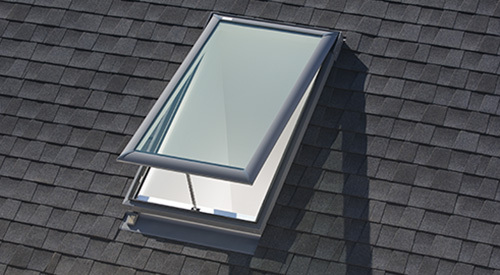 Opening for maximum fresh air, the venting skylight contributes to a home's proper moisture balance and comfort level by allowing stale, humid air to be released. Recommended for in-reach installations. 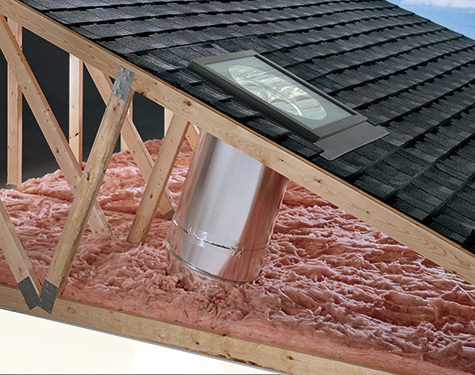 The VELUX Deck Mounted product family is designated The No Leak Skylight™. 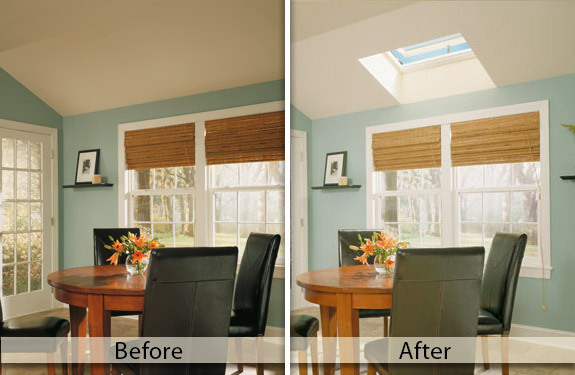 VELUX SUN TUNNEL skylights can dramatically change a room. 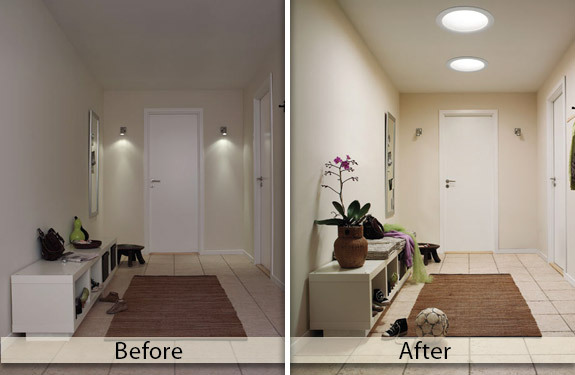 They're the fastest way to add natural light and the feeling of openness to those dark spaces. The impact in terms of daylight is stunning. 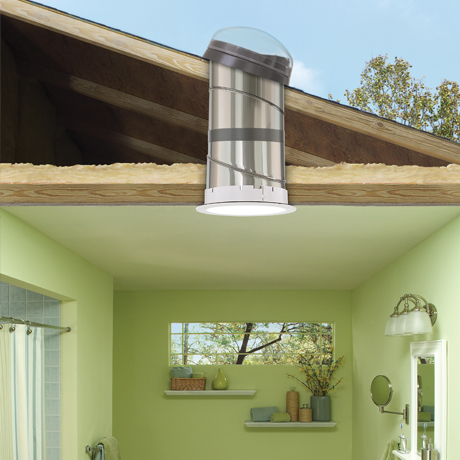 Installing a VELUX SUN TUNNEL skylight is as easy and can be done in as little as 3 hours!